The Contest is now closed. The 2020 contest will open on October 1, 2019. Please visit our website at www.nfpw.org for more information. The NFPW Contest is two-tiered. The NFPW National Communications contest is a two-tiered competition open to anyone over the age of 18 regardless of age, gender, professional status or location. College students who enter the Collegiate Division do not have to be 18 or older to enter the contest. The second tier is a national competition. First place winners from the state-level contest and the at-large contests are then moved to the national level of judging. To be eligible to compete at the national level, the entrant must be a member in good standing with the National Federation of Press Women. Entrants can join NFPW once they learn of their winning status. 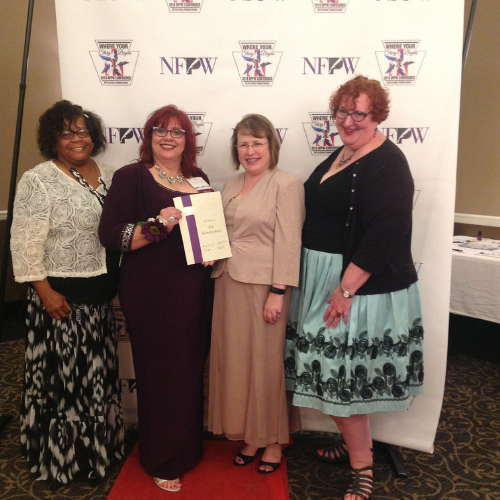 Membership in NFPW is a solid investment in your career, providing opportunities to develop your professional skills, receive recognition for your work, network with peers, protect the First Amendment, and nurture the next generation of communicators. For more information on joining the NFPW please CLICK HERE. 1. Read through the categories and descriptions to decide which category you would like to enter. 2. Read the rules for entry under the rules tab. 3. Register using the purple tab in the top right corner of this page. If you have already registered, just log in using your user name and password. If you wish to register as a member, your membership dues must be paid before you register. Please visit our website for more information about joining NFPW. Fill out the information required in each tab of the entry form. Please add all entries before paying this will allow multiple entry discounts to be applied. Once you have completed an entry form for all of your entries, go to the "View/Edit and Pay" tab. Check to see that the word "completed" is listed in each of your entries. If you see "Incomplete", click on the word and it will let you know what you are missing. Use the yellow pencil to edit your entries and try again. 6. Settle up your bill. All entries must be paid before midnight in your time zone on the January 22, 2019 deadline to be considered for entry. Once you have paid for your entries, you should see a "submit" button come up for your entries. Click submit and you are all set. Check to see that your status has changed from "completed" to "accepted". If you have paid and do not see this status change, please contact us for help.